more than my underwater willies. wow. what a wonderful poem!!! My sentiments exactly! 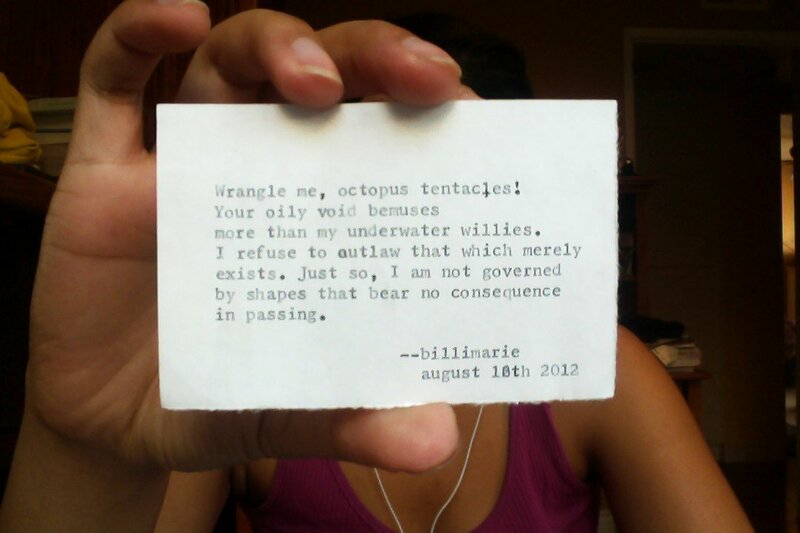 You are so versatile in your writing, Billimarie – love the bittersweet lightness of this one. delightful poem, your imagination is beyond boundaries in this one! I love that one. I’m back again just to share it with others.